A Huge Thanks from Landford Stone! All of us at Landford Stone would like to say a big thank you to everyone that attended the Landford Stone open day on the 5th August. 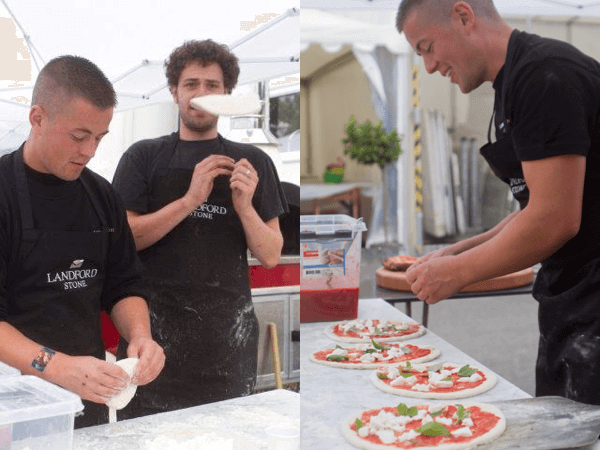 We had a great turn out with over 100 people coming to the event throughout the day, enjoying the hand made pizzas cooked in the stone bake pizza oven, factory tours, demonstrations by Neo Lith, Techlam, Lapitec, Dekton. Dry Treat and our own Teltos Range. 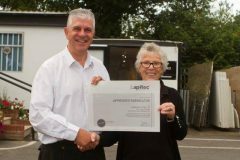 Landford Stone were awarded an Approved Fabricators certificate by Lapitec at the open day. 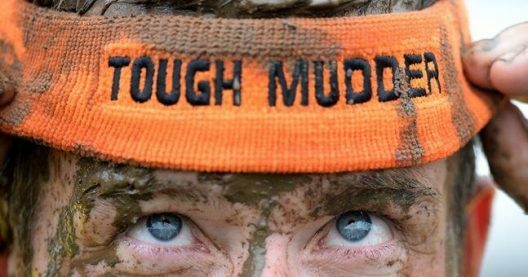 We are entering Tough Mudder Saturday 26th September 2015! We have all been working really hard and trying to prepare for this massive event by running, cycling, swimming, weight lifting and much more. Training through lots of pain and many hours away from our loved ones just to get ready for this event. For full details on how to donate please go to the Just Giving link. We have been waiting a very long time for this, but it’s now officially here: The Teltos Premier Range has landed in are yard. This amazing new range with its marble look alike materials and stunning brushed finish Grey’s are bang on trend and will look stunning in any contemporary or traditional kitchen. Now on show in are yard, so do come and have a look at them. A brand new brochure just for the Teltos Ranges has been designed and will be with us very shortly. These will be brought round to all the showrooms. Alice has been working for Landford Stone now for 5 years. Alice enjoys the challenge of keeping the office running smoothly. Starting as a young trainee office administrator, her responsibility has grown over the years becoming our Office Manager. As you can see from this picture, Alice loves animals and is very much family orientated loving her Gran and Grandad to pieces.